Maya Leaders from the south travelled by bus to Belize City for a ruling on government’s appeal in respect of a historic Supreme Court decision that goes back to 2007 and then 2010. In handing down its decision, the Court of Appeal this afternoon affirmed lands rights and tenure to thirty-eight Maya communities in the south. They got the land, but not the protection. It’s like owning a house and finding out the neighbors down the street might still have free access to it. 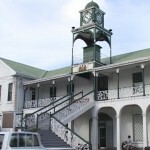 It was a split decision in which Justices Dennis Morrison and Brian Alleyne made up the majority; the president of the court is Justice Manuel Sosa. News Five’s Isani Cayetano reports. This afternoon, President Manuel Sosa, in his decision, affirmed the Supreme Court ruling. 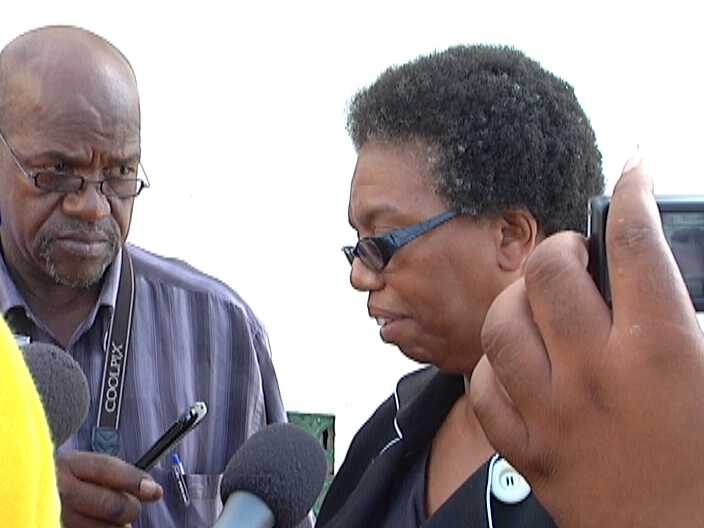 Senior Counsel Antoinette Moore, who represents the MLA, spoke with the media, following a cursory look at the hundred-and-ninety-eight-page document. 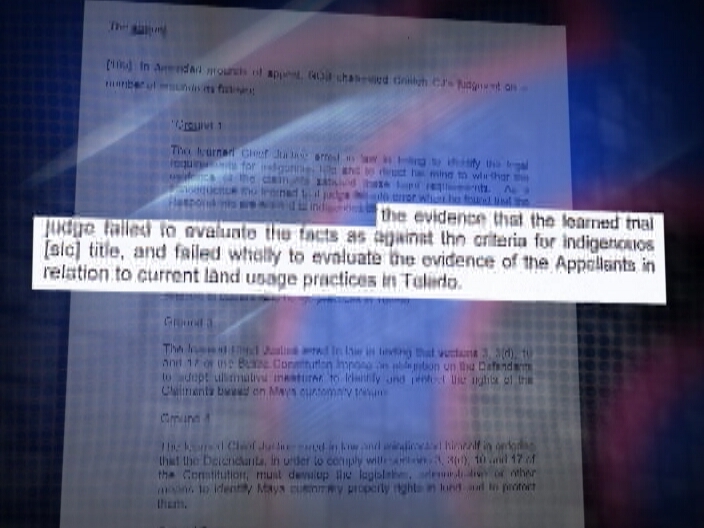 The second reason for appeal is that Conteh’s decision was contrary to the significance of, quote, the evidence that the learned trial judge failed to evaluate the facts, as against the criteria for indigenous title, and failed wholly to evaluate the evidence of the appellants in relation to current land usage practices in Toledo, unquote. 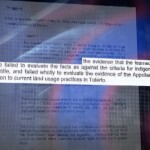 Greg Ch’oc, Executive Director of the Sarstoon/Temash Institute of Indigenous Management, whose organization’s contract to co-manage the national park, which sits on Maya communal land, was not renewed, shared his opinion on that section of the ruling. In the previous verdict, Chief Justice Conteh ordered government, and any other third party, not to take any action that would prevent the Maya community from using its land. 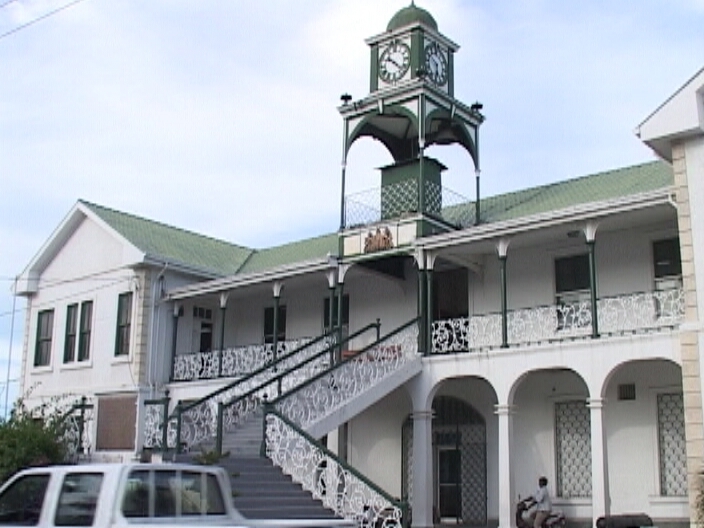 While the Court of Appeal did not necessarily uphold that part of the ruling, it did sustain, principally, the Supreme Court’s pronouncement on communal land rights. Moore also commented on the timing of the decision. A new constitutional amendment will erase their gain. Another one will eliminate the courts. Another will kill the lawyers and the homos they screw. Another will eliminate Belize, and the new country called “God’s Paradise” will be reborn in his image. 144,000 christian evangelicals from the US have been chosen to consecrate their new country. magic carpets and space ships will bring them in luxury, and we get to wait on them hand and foot. We Belizeans get to be their pets and slaves. tally ho! open wide, more BS for BZ. The Mayas from Toledo have been discriminating against people of dark skin (Creole and Garifuna) for years in the Toledo District. There have been instances whereby homes of dark skin people have been burnt down in their villages because they (the Mayas) dont want these people to live in their villages. To date no dark skinned person is living in anyone of those villages. Only the Police Officers and Teachers are allowed to live there. Belize is for all Belizean!!! They (the Mayas) are allowed to live anywhere in this country as everyone else!!!! Why cant we live in there villages???? ACB, PSU,BNTU and the human rights organization take note!!!!!! The maya leaders are protecting their lands but at the same time are preventing progress or modernization. We cannot just live in the past but always move forward. 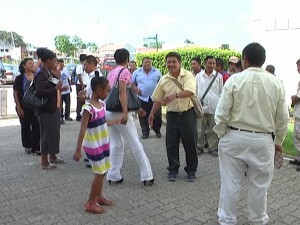 Various Belizean people need land. It doesn’t matter who came to Belize First but rather who can cherish living in Belize. 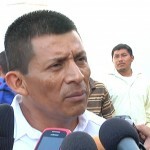 If the maya peole are reluctant to give the rest of the Belizean people access to land, then they are inequitable. 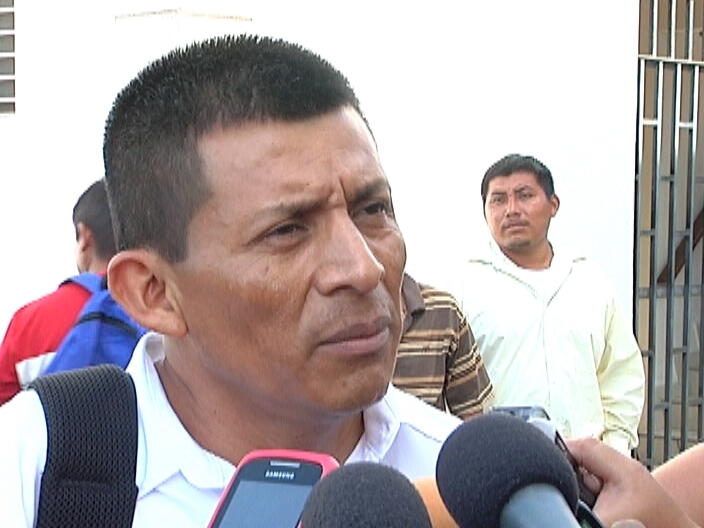 Just as how as a maya descendant, I was refused a scholarship from them, I will support the rest of the belizean public to demand the government to take away their lands and to give it to those belizean people who are in need. Lots of Belizean people need lots to build their house. Why have a land full wit bushy trees and grass? I wonder what in the worl these too people should be talking about. But in regards to what they are saying they should be ashame of throwing simple comments like that. They wel know that the mayans are peaceful people and they prefer remaining like that. Cant you see that Toledo is the only safe place in the country.Why Because of we the mayans. I believe that you are educated just to fool yourselves and not trying to be positive. Further more you should do some more research instead of just blabbling off like that just to have people suport you. HOPEFULLY THEY (THE MAYAS) DON`T SELL THE LAND TO CHINESE PEOPLE !!! As a Mayan person I see that it is important to have rights to our own lands.the person who said that nothing is good about Bush and grass that person needs to educate himself or herself we the Mayans are surviving because of the forests we get food from we need our forests to construct our homes.having our own land as Mayans will contribute in conserving our forests. We cannot allow government to goin there and do what they want without our consent.our survival depends on the lands we have.we are not racist either we are peacefully persons who appreciate other cultures. The Mayas are definitely NOT racist people. We appreciate and respect other cultures and we enjoy them as well.We allow other cultures to live in our community but they have to join in the right way by speaking to our chairman and alcade. We need our maya rights you know why? Because we need to plant crops like corn, rice and sugar cane with out that you will not eating rice and drinking sugar. I am pretty sure you all eat rice and drink sugar on a daily basis. As you know when we run short of rice you all go to every single store country wide to get yours because that is something you love and cannot live without. A lot of you might disagree but deep down there i know you know you know it is tru. We protect our forest to prevent Global warming because everyone complains about the sun and the rain when it is too much and not expected. We the mayas love our Belizeans and every single one of you. Maybe we do not show it but we are. Several N.G.O.’s file co-management agreements. B.T.I.A. tells G.O.B. no one in their right mind would sign Norwegian’s M.O.U. 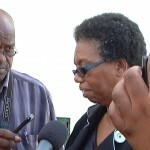 Media tours Belize with the B.T.B.